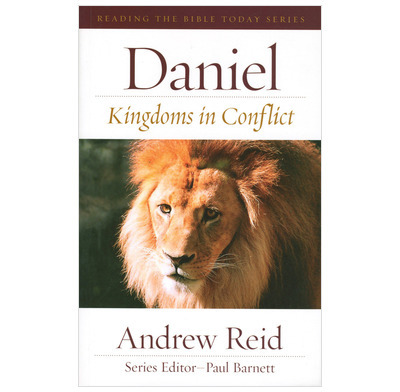 Readable, practical and accessible commentary on the book of Daniel. "It is good to see this series of non-technical commentaries. Such books are greatly needed. I look forward to using this series, especially among young Christians." Andrew Reid is well-equipped to write for this series, having pursued post-graduate studies in the history of the period in which Daniel was written. Andrew's commentary on Daniel is the end product of some years of 'field testing' the material with various campus groups among whom he works as a university chaplain. I am confident that Kingdoms in Conflict will prove a significant and outstanding addition to this series. Andrew Reid now lectures at Ridley College Melbourne in Old Testament studies. Previously he was National Director of the Australian Fellowship of Evangelical Students. 21. How long, O Lord? I found this commentary a little too sketchy and he never really seeks to justify some of the positions he takes on Daniel. Far better are Iain Guguid or Bob Fyall's commentary. Nothing on the lion's den. Just abandons you there and moves you onto chapter 7.